"We certainly need to have more information, but I think the concerns that they are profiling are pretty high," said one national security expert. "The whole thing is just absurd on so many levels," said Hugh Handeyside, senior staff attorney with the American Civil Liberties Union's National Security Project. The program — dubbed "Quiet Skies" by the Transportation Security Administration — has been in existence since 2010 but was disclosed for the first time this past weekend by The Boston Globe. The Globe said "Quiet Skies" tracks U.S. citizens who have been flagged to the TSA based on their affiliations or travel histories. One businesswoman who had recently traveled to Turkey, for example, was tracked. If a passenger is selected for such secret tracking, a federal air marshal monitors him or her during the flight. The air marshal notes in a "behavior checklist" whether the individual slept, shaved or changed clothes mid-flight, or boarded last, among other criteria. The air marshal also takes note of whether the passenger has a "cold penetrating stare" or is fidgeting, the Globe reported. The data is then sent to the TSA, although it's not clear what happens to the information afterwards. In a statement to NBC News, the TSA described "Quiet Skies" as a "practical method of keeping another act of terrorism from occurring at 30,000 feet." It compared it to other common practices in law enforcement, like stationing a police officer in an area vulnerable to crime. "They haven't demonstrated any need for it or whether it's effective." 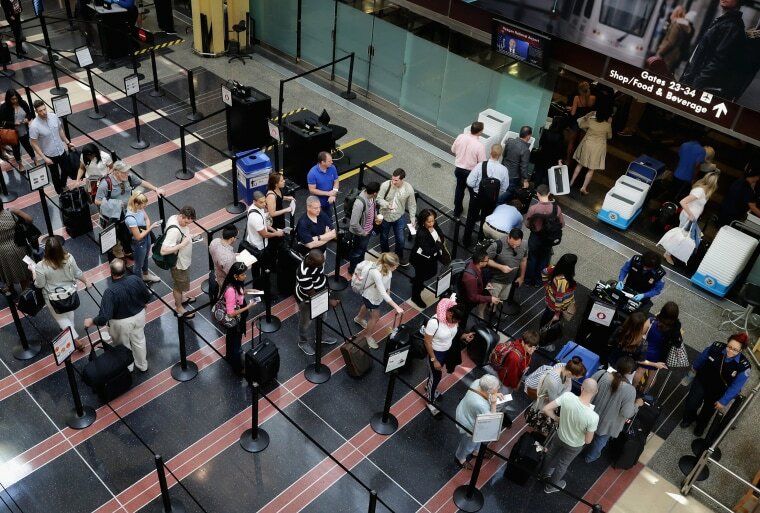 "They haven't demonstrated any need for it or whether it's effective," said Faiza Patel, co-director of the Brennan Center’s Liberty and National Security Program, noting that the TSA has yet to reveal whether "Quiet Skies" has stopped any security threats. "We certainly need to have more information, but I think the concerns that they are profiling are pretty high." "As far as I know, this data collection hasn't been specifically authorized by Congress, and even if it was, they would have to publish a notice that they're collecting this information and keeping it in a database — which we haven't seen at all," she said. "Quiet Skies" also raises questions of whether the TSA has continued to use passenger-screening methods that were discredited more than a year ago. Handeyside balked at the behavior checklist reportedly being used for "Quiet Skies," which includes observing things like a "jump" in a man's Adam apple or being "abnormally aware of surroundings." "A lot of those behaviors reflect what may be consistent with stress or anxiety, and if they're looking for stress or anxiety in an airport, they'll find it," he said. John Casaretti, president of the Air Marshal Association, the federal air marshals' union, echoed that. "The American public would be better served if these [marshals] were instead assigned to airport screening and check-in areas so that active shooter events can be swiftly ended," he said in a statement.